You won't be able to focus after listening to this blistering cut-and-paste debut. While living in Nashville a few years ago, I was approached by a clean-cut, unassuming man who appeared to be in his early forties. He walked over to the grocery deli counter where I was ordering cold cuts and said, “Do you really like that, or are you wearing the shirt because you think it looks cool?” I glanced down to see what shirt I actually had on and replied, “No, I really listen to Dillinger Escape Plan.” His reply? “I don’t see how anybody can listen to that stuff, but O.K.” That guy would wither under the blast of the first five notes of Car Bomb’s Centralia (Relapse). The Dillinger Escape Plan reference must be qualified with a bit of context. This doesn't happen often, but at some point I hear something that seems to reach a level of “heaviness” that cannot be topped. Like some of you, I’m always on a search for the next thing that will make me step back in awe. I progressed to new levels of ADD-fueld music insanity by following a Dillinger Escape Plan/Meshuggah/Soilent Green path, and Car Bomb has shown me the next level. Somehow this debut album from 2007 eluded me until late 2010, but I’m listening to it enough to make up for lost time. If I had to characterize the sound of this album I would say that each song typically consists of short segments of manic blast beats jumbled with slower grooves and some sludge. The drum patterns seem to be written to mirror the guitar parts in many cases (think Soilent Green breaks), but then usually jump back into a frantic blast within a few seconds. Guitars are in your face, and pitch-shifting effects are used extensively. The vocals really jump out through the entire album. Michael Dafferner shifts effortlessly through varying vocal deliveries as the song structure dictates, and he hits everything from Acid Bath-era Dax Riggs to Mike Patton to Corpsegrinder Fisher. The album’s brutal start picks back up after the sludgy ending of “Pieces of You,” as “Gum Under the Table” opens with blasts of guitar harmonics and intense, distorted screaming. The next few tracks have quite a few great moments and grooves, but for the first five or so times I listened to the album I got lost in a wash of face-peeling blasts and slow breaks. “Best Intentions” stands out due to the band cleverly utilizing a pitch-shifting pedal squeak, when repeated a few times, to become the song’s central riff that soars over frantic drum breaks. Other notable songs are M^6 (great chorus) and H5N1, for its relatively catchy vocals that provide a refreshing break when mixed with the usual screaming and growling. The only negative thing to say about this album is that I feel like I’m risking inclusion on a terrorism watch list by searching for Car Bomb on YouTube. Otherwise, I’m very glad that I’ve been exposed to Centralia. At one point, I thought nothing could be more brutal than Pantera. Eventually, I changed my mind (with a few stops between) and decided that nothing could be as scalding as The Dillinger Escape Plan or as punishing as Soilent Green. If you’re ready to be challenged, get this one ASAP. If you like extreme metal and you are a fan of any John Zorn projects (especially Moonchild), this 32-minute cut-and-paste wonder was made for you. 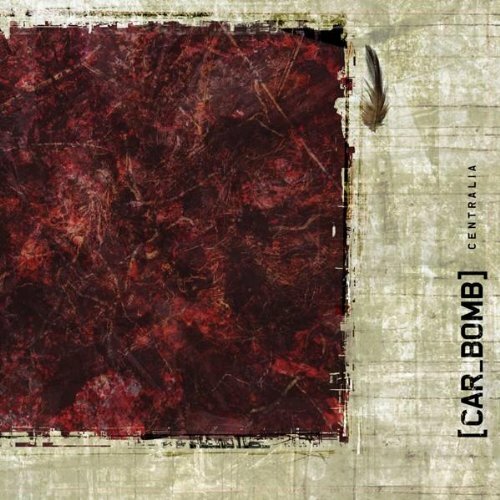 Car Bomb takes the insanity up a few notches, and I’m glad. We all need motivation, right?